Valencia (ESP), BMW i Motorsport, ABB FIA Formula E Championship, Testing, BMW i Andretti Motorsport, Jens Marquardt (GER) BMW Motorsport Director. BMW i Andretti Motorsport has contested six races in the ABB FIA Formula E Championship – and celebrated one win and two further podiums. António Félix da Costa (POR) is in first place in the driver standings with 62 points to his name. The basis for this positive interim result is the highly efficient Racing eDrive01, which powers the two BMW iFE.18 – and impressively holds a BMW Group pioneer role when it comes to electrification and racing. Electrification, just like Autonomous Driving, Connectivity and Services – always paired with ground-breaking design – is one of the future areas that have been defined in the company’s Strategy NUMBER ONE - NEXT and summarised under the term D+ACES. 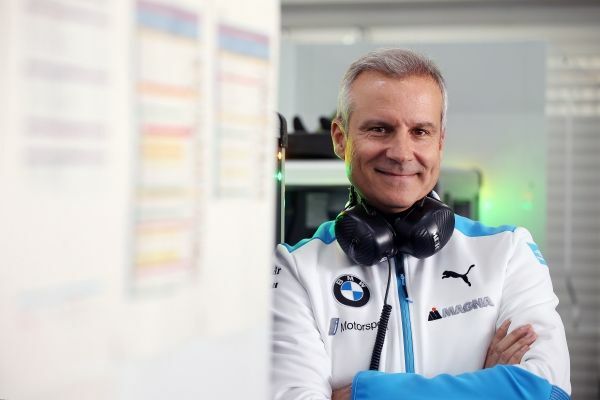 BMW i Andretti Motorsport is using the Geox Rome E-Prix to highlight this look to the future and will send the two BMW iFE.18 onto the track with the special message #Electrifying on the inside of the ‘halo’ cockpit protection.